Yesterday we talked about how to help teenagers and adults become better readers; today I want to talk about fostering that love of reading in your children. You guys notice a theme yet? It's back to school week, folks, and I want to talk about books! - Something to flip. June loves to turn the pages, but for some reason it's so much more fun for her to flip and find something behind the flap. Why does this entertain children for hours? The world does not know. 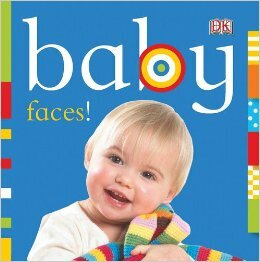 June's very favorite for this is Baby Faces. - Something to feel. June loves all the different textures in books. Any book that allows her to feel a furry bear's belly, a slick rain boot, a glittery rainbow, just does it for her. - Something to touch. Much like flipping, June loves to be touching and "working" the books. 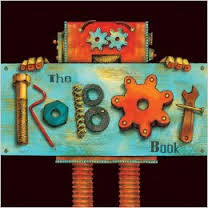 Our favorite for this one is The Robot Book. It has wheels that she can turn, screws that move up down, wheels that she can turn. June never gets tired of this bad boy. - Books with baby pictures. June is obsessed with books that have real life baby faces. She stares and stares at those little baby pictures. "Is that me?" she wonders. "No... But it looks like me, right? Who are these other little people?" It is absolutely adorable. - Books with animals. Thanks to little Mavvy, June loves dogs and is generally just fascinated by animals. The books that have real pictures of animals speak to little June Bug's soul. - Colorful books. The more colors the more interesting the book for June. - A book that is interesting for mama/ has clever text. One thing I've learned as I've read books to June is that some baby books are really thin on the plot! I mean, that's okay for a one year old, but for the 29 year old who is reading the book over and over it is not okay. If a book says "chocolate" next page "juice" next page "lady bug" you can pretty much guarantee that we will not be reading that book much. The books that become classics for us are the ones with clever text, cute rhymes, silly little stories. June might like books, but I'm the one actually doing the reading, so the book needs to entertain me as well. 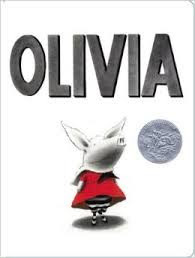 One of my favorite series is the "Olivia" series. Seriously cute pictures and adorable little story lines. What books does your little one love? I am always on the hunt for great books for our personal little library. Of course, growing a personal library for your little bug can take a lot of money (Board books are like $15 a pop). I have a couple of suggestions for you to help with this. Suggestion #1: Get most of your books at the library. For every ten books that we read with June, we maybe buy one of them. Our library lets us check out up to 50 books at a time so we check out a basketful and keep them for three or six weeks until we're ready for a new batch. The books June loves loves loves, we buy. Check out this list of Sam's Clubs with demos to find one near you on 8/22/15 and 8/23/15! If you are not a member of Sam's Club then click this link and Bring this invitation printed out to the Member Services Desk at your local Sam's Club for a pass to shop for the day. A 10% service fee applies on all non-member purchases when shopping with this One-Day Pass (not applicable in CA, SC or Elmsford, NY). The 10% service fee does not apply if the non-member decides to join the Club at the time of purchase." - Go to this site. - Click on "ENTER CODE NOW"
- Click on "Continue to checkout"
- Click on "Place my order"
- You're done! And now your book will arrive in the mail in no more than 8 weeks! Let me know if you have any questions about redeeming your book and please tell me your little one's favorite book! I am all ears.